On Sunday, at the end of a fund-raising and "tasting" tour of upscale organic farms in Lyme, Democrat Shaun McNally, a candidate for the U.S. House in Connecticut's 2nd District, savored one of the state's spiciest, if not always useful, political endorsements. Former Gov. Lowell P. Weicker Jr., one of Connecticut's most famous independents, told the crowd of 50 people enjoying crackers and Cokes on a pastoral front porch that he was throwing his support, and his financial contributions, behind McNally. "I think he's gutsy, and I think he's got courage, and I think that's exactly what the people of the 2nd District want," Weicker said of McNally in an interview Monday. "I met him when he was a state rep. He was outspoken. He was nonpartisan. He was outstanding," Weicker said. 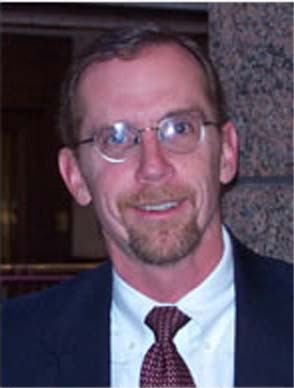 McNally pointed out that Weicker, a self-styled maverick, abandoned the Republican Party to mount his bid for the governorship. McNally bucked his own party to support Weicker then and is bucking the Democrats now by forcing a primary Aug. 10 when most party insiders desperately want to focus their time and money on beating incumbent Republican Rob Simmons. Weicker also noted that McNally voted in favor of Weicker's state income tax proposal when both men were in office in the early 1990s. McNally said he switched his vote to favor the tax only after Weicker agreed to state budget spending caps. McNally's opponent, Jim Sullivan, who has racked up endorsements from the heavy hitters of Connecticut Democrats, was quick to take a jab at Weicker's endorsement. A campaign spokesman noted Weicker also backed Howard Dean, Bill Curry and Bill Bradley - all of whom lost. "Jim has the Democrats lining up behind him and Shaun has Republicans behind him," said Sullivan spokesman Michael Winters. "We'll take that. He can have all the Republican endorsements. I don't know how he thinks that will help him win a Democratic primary." But McNally thinks it may help him win the hearts and votes of unaffiliated voters, who account for 46 percent of 2nd District voters. That helps McNally look "electable" in a general election against Simmons, which could sway some Democrats. Weicker said Monday that his support could open some financial doors to McNally, who, according to the latest Federal Election Commission report, could use it. His most recent campaign finance report showed $25,500 of the $70,000 he raised in the second quarter of the year came from a loan from the candidate. McNally has raised about $148,000 in the entire campaign cycles and had about $34,000 cash on hand, but owed $40,000. McNally said he and his wife decided in late June that they would rather take out a loan than accept donations from political action committees, or PACs. Sullivan, who is accepting PAC money, has raised $351,000 total, including $156,000 in the last cycle, and Simmons, who raised more than half his cycle money from PACs, raised $1.4 million overall, including $280,000 this cycle.